Asch, Michael I.. "Dene Nation (organization)". The Canadian Encyclopedia, 14 September 2017, Historica Canada. https://www.thecanadianencyclopedia.ca/en/article/dene-nation. Accessed 22 April 2019. Established in 1969–70 as the Indian Brotherhood of the Northwest Territories, the Dene Nation (renamed in 1978) is the political organization that represents the Dene, or northern Athabaskan-speaking peoples and their descendants, of Denendeh, which includes the Mackenzie River Valley and the Barren Grounds in the Northwest Territories, in the settlement of outstanding land and governance issues with the Government of Canada. 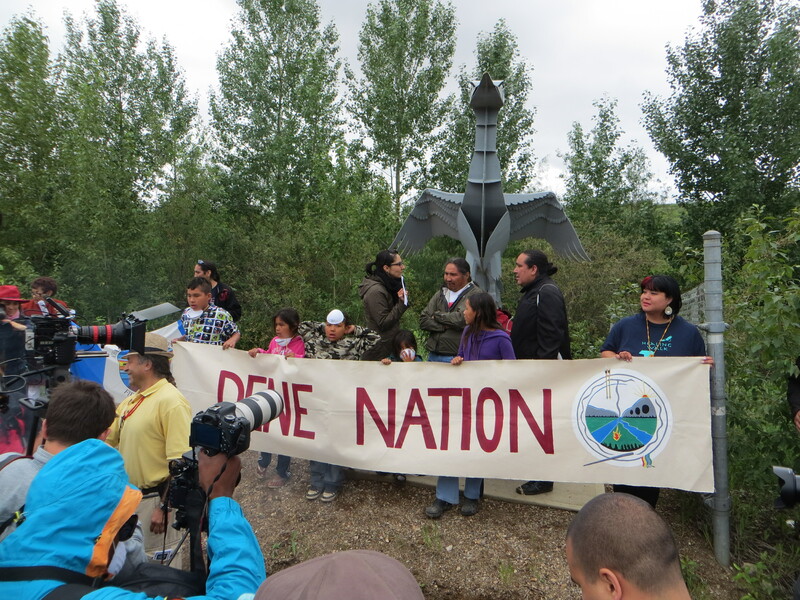 Dene Nation at the Tar Sands Healing Walk, 2013. On 3 October 1969, 16 chiefs united in opposition to the Trudeau government’s “White Paper” by forming the Indian Brotherhood of the Northwest Territories. The White Paper proposed to transfer the responsibility for Indigenous peoples from the federal government to the provinces and territories. Since then, the Indian Brotherhood of the Northwest Territories sought to protect the rights and interests of the Dene people in Canada. The organization evolved in response to long-standing concerns over the written terms found in the federal government’s versions of Treaties 8 and 11 signed with the Dene in 1899–1900 and 1921–22, respectively. While the government maintained that the Dene extinguished (i.e., surrendered) their rights to the land by signing the treaties, the Dene argued that their ancestors never intended to do so (see Indigenous Territory). After conducting research and reaching out to Dene communities in the Northwest Territories, the presiding judge, Justice W.G. Morrow, determined that the Dene did in fact have rights to the land and its resources. However, the Supreme Court of Canada overturned the case — known as the Paulette caveat — based on a technicality. Nevertheless, Justice Morrow’s findings about Aboriginal rights remained valid and led the federal government to accept that further negotiations on the Dene interests were necessary. In 1976, the Indian Brotherhood of the Northwest Territories released the Dene Declaration and Manifesto. This document called for Dene self-government in the Mackenzie Valley (see Mackenzie River). It was in this area that the proposed Mackenzie Valley Pipeline was to be laid. However, incompatibility between the Dene position and that of the federal government regarding rights and title to the lands and resources of the Mackenzie Valley has made this an ongoing issue. In 1978, the Brotherhood formally changed its name to the Dene Nation as a means of including “all those who have formally declared themselves under the Dene registry.” The organization continued to press for the rights and interests of the Dene people. In 1981, the federal government and the Dene worked to negotiate a comprehensive land claim with respect to non-political aspects of outstanding land issues. The government suspended negotiations after the Dene Assembly passed a resolution in 1990 insisting that Aboriginal and treaty rights be affirmed in the final agreement. A year later, the Canadian Human Rights Commission supported the Dene’s claims to Aboriginal rights and called on the Canadian government to review its policy of extinguishment. Over the course of the following decades, the Dene made some advancement with respect to land claims and self-government. 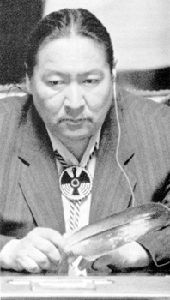 In July 1993, the Sahtu Dene and Métis overwhelmingly approved a comprehensive land claim agreement negotiated with the territorial and federal governments. The Sahtu Dene and Métis received title to 41,437 km2 of land, a financial payment of $75 million, rights to hunt and fish on the territory and a guarantee to consult with the Dene on certain matters such as land use and resources in the settlement area. On 1 September 2016, the Deline Dene (beneficiaries of the Sahtu land claim) achieved the right to self-government. The Deline Go’tine Government became the Northwest Territories’ first Indigenous self-government. The Dene Nation is made up of executive and regional councils that represent the Denesuline (Chipewyan), Tlicho (Dogrib), Deh Gah Got’ine (Slavey), K’ashot’ine (Hareskin) and Dinjii Zhuh (Gwich’in, once called Loucheux). 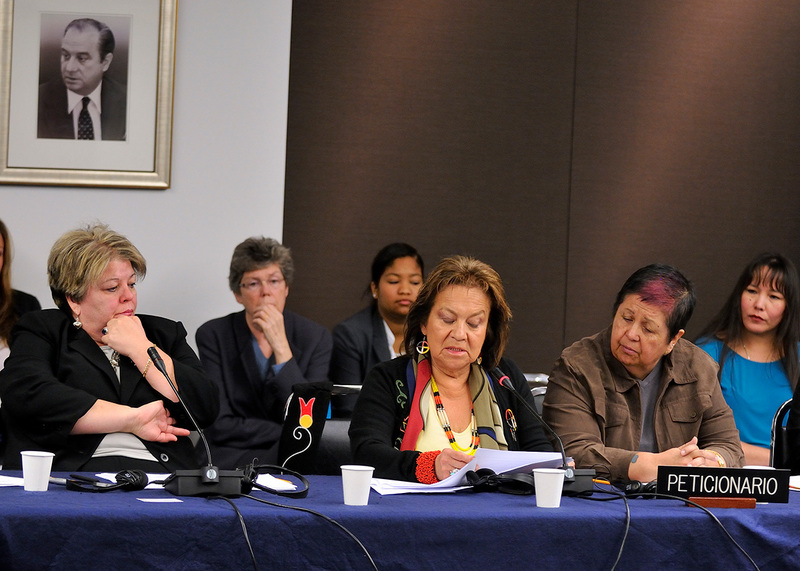 Members gather together every year at the National Assembly, where they discuss political, legal, social and cultural matters affecting the Dene people. The first president of the organization (now known as national chief) was Morris Lafferty of Fort Smith in the Northwest Territories. Subsequently, Mona Jacobs, Roy Daniels, James Wah-Shee, Georges Erasmus, Stephen Kakfwi and Bill Erasmus have held the senior executive position. The Dene Nation has been engaged in programs concerning Dene health, education, community development, legal issues, land and resource development, and communications. The organization continues to work towards self-government and recognition of Indigenous rights and territory in Canada. E. Rogue Bielawski, Diamonds: Northern Riches on Dene Land (2004). Lynda Holland, Celina Janvier and Larry Hewitt, The Dene Elders Project: Stories and History from the Westside (2002). Suzan Marie and Judy Thompson, Dene Spruce Root Basketry: Revival of a Tradition (2002). Henry S. Loon Sharp, Memory, Meaning, and Reality in a Northern Dene Community (2001). Joan Ryan, Doing Things the Right Way: Dene Traditional Justice in Lac La Martre, N.W.T. (1995). Kerry M. Abel, “Drum Songs: Glimpses of Dene History,” Studies in Ethnic History 15 (1993). Patrick Moore and Angela Wheelock, Wolverine Myths and Visions: Dene Traditions from Northern Alberta (1990). R. Fumoleau, As Long as This Land Shall Last (1977) and Denendeh: A Dene Celebration (1984). M. Watkins, Dene Nation: The Colony Within (1977).